For the first time, Astronomers caught a black hole spitting out a gas! "Black holes are voracious eaters, but it also turns out they don't have very good table manners." We know black holes, the scary, dark and empty part of the space we saw in Hollywood sci-fi movies. It devours everything that gets near its mouth. They are the gigantic beasts of space that never stops feasting until they run out of any reachable matter to consume. It’s bizarre but also an interesting phenomena. We barely know anything about them, except that we have a handful of existing scientific theories based on research and some intelligent assumptions. We rarely catch them doing things in action, but hey, thanks to nonstop technological advancement, we finally have some legit findings of these baffling space phenomena. For years, scientists have theorized that whatever goes into a black hole, is never to return again. It wasn’t the case for SDSS J1354+1327, the black hole found at the center of a galaxy. For the first time, astronomers have seen the black hole belching out giant chunks of matter, not once but twice, leading up to some worthy conclusion. The two massive outburst, occurring every 100,000 years, confirms that supermassive black holes have cycles of hibernation and activity. When a black hole consumes a matter such as gas or stars, they generate a powerful outflow of high-energy particles from close to the event horizon, but not beyond the point of no return. SDSS J1354+1327 or J1354 for short is about 800 million light-years away from Earth and shows up in Chandra data as a very bright point of X-ray emissions. According to the scientists, it so bright enough to be billions of times more massive than our Sun. The data gathered by Chandra X-ray Observatory was then compared to the visible light data taken by Hubble Space Telescope. 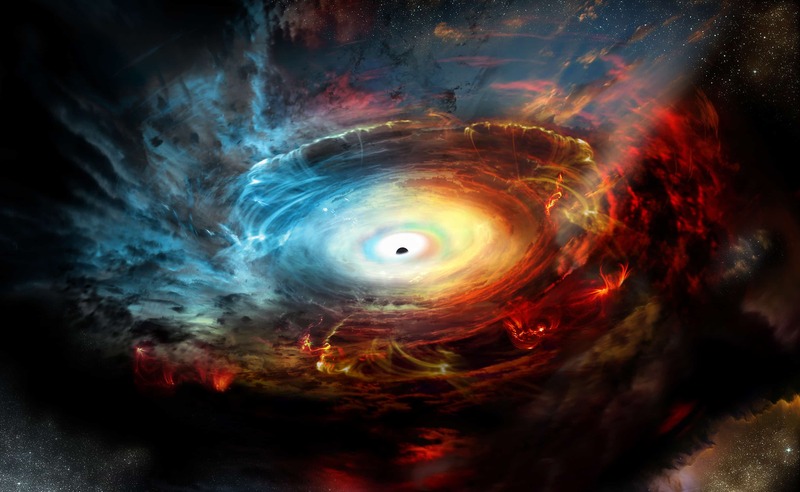 Astronomers found out that the black hole is surrounded by thick clouds of dust and gas. The scientists found evidence of two bubbles in the gas, one above and one below the black hole, that they believed to have been formed at different times. 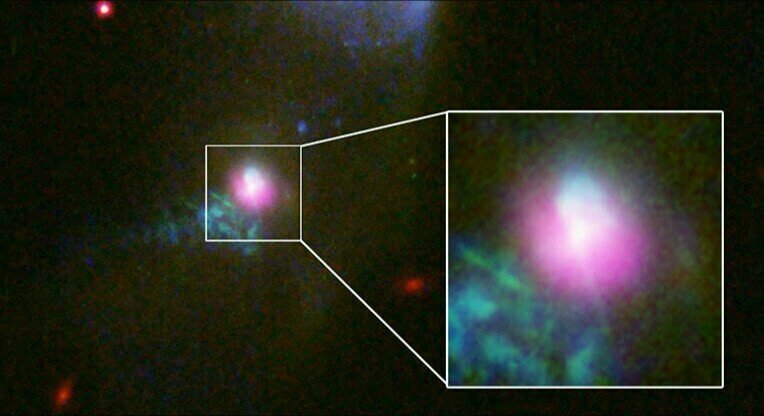 The bubbles, known as Fermi bubbles, are usually seen after a black hole feast on some matter. The southern bubble expanded 30,000 light-years away from the galactic center whilst the northern bubble only spanned up to 3,000 light-years away. From these data, scientists were able to conclude that the two massive outpourings occurred roughly 100,000 years apart. NASA is gearing up for an interstellar mission to Alpha Centauri in 2069!